The Digital Cash based scheme presented here is being called fairCASH. It comprises a comprehensive technology framework that combined eWallet hardware and algorithmic software elements to conduct pre-paid eCash transactions which mimic the behavior of Physical Cash in the closest possible way through teleportation of financial objects. 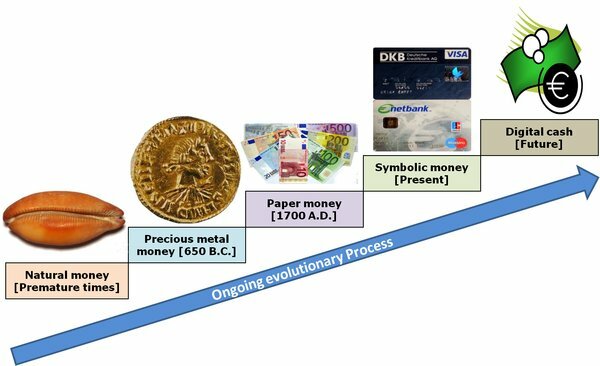 It is subject to augment the evolutionary process in the world of payment instruments. The fairCASH system proposes a teleportation protocol based upon most advanced cryptographic techniques, digital signatures, and the use of public-key cryptography tightly coupled to our nano-safe based eWallet, which covers the embedded logic protocol part of the multipurpose generic two-party teleportation algorithm. fairCASH simultaneously offers as well comprehensive anonymity to individuals as transactional rugged security to merchants and banks, respectively. fairCASH provides bilateral Multi-Hop-Capability (MHC) in combination with non-repudiation electronic payment protocol-services. These services are usable for transacting parties doing business or private payments over Internet or wireless short range connections allowing direct P2P fund transfers without the intermediation of an entity functioning as a bank or agent. We use this as our main protocol engine for a safe exchange of electronic secrets (eCoins) and to provide receipts between two protected endpoints (here eWallets).